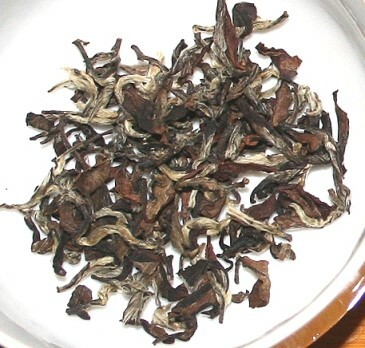 Discription : oriental Beauty oolong also named as Bai Hao oolong, The origin of this name dates back to the early 20th century when a British tea merchant presented a sample of this tea to Queen Elizabeth II. The Queen was captivated by the special aroma and taste of Bai Hao. Because of the tea’s lovely appearance, like a beautiful lady, and its origin in Asia, the Queen named it "Oriental Beauty". The rate of fermentation that type of tea is slightly higher compared to other oolong. Actually , it is very close to Red tea. The tea gives you a taste rich and strong honeyed note liquor which is a reminiscence of Keemun tea.